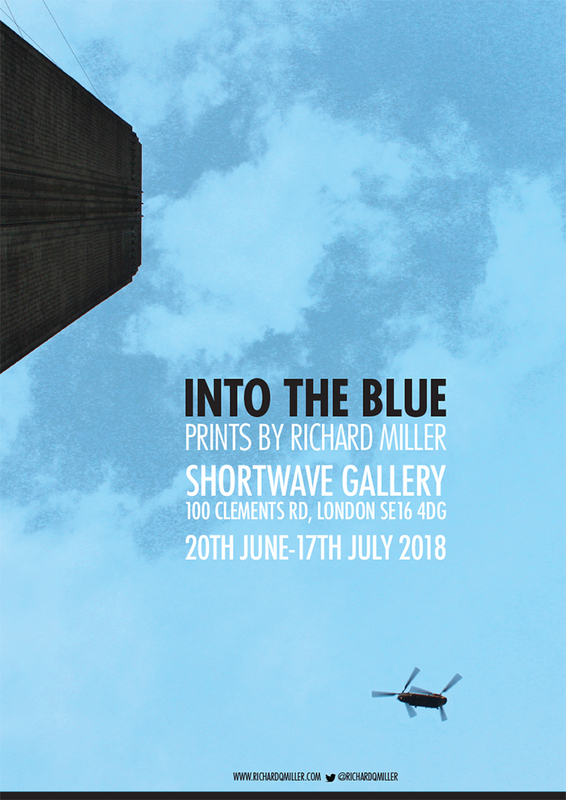 My new exhibition, Into the Blue will run at the Shortwave Cafe and Gallery from 20th June to 17th July 2018. The simple idea of ‘observation’ has a very strong appeal to me. The thought that so much around us goes unnoticed until it is gone. People stare at their phone, stare blankly ahead or stare at the ground as the world passes by. Let an image grow old and you will see things that you didn’t notice at the time. 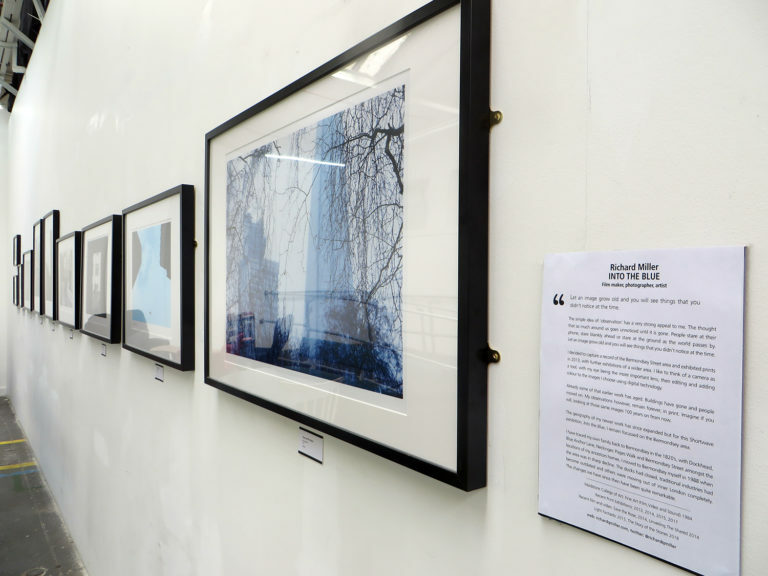 I decided to capture a record of the Bermondsey Street area and exhibited prints in 2013, with further exhibitions of a wider area. 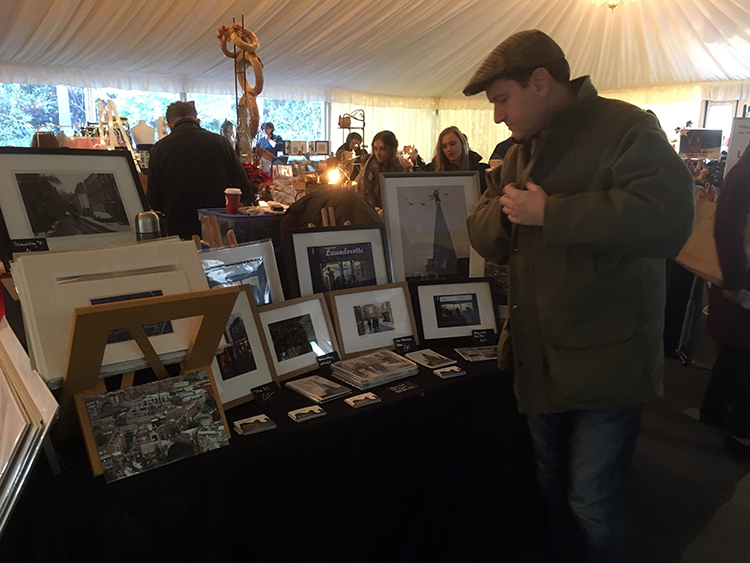 I like to think of a camera as a tool, with my eye being the more important lens, then editing and adding colour to the images I choose using digital technology. Already some of that earlier work has aged. Buildings have gone and people moved on. My observations however, remain forever, in print. Imagine if you will, looking at those same images 100 years on from now. 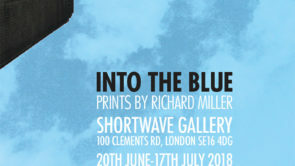 The geography of my newer work has since expanded but for this Shortwave exhibition, Into the Blue, I remain focussed on the Bermondsey area. 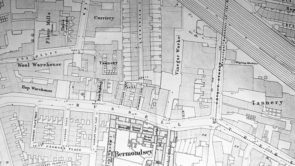 I have traced my own family back to Bermondsey in the 1820’s, with Dockhead, Blue Anchor Lane, Neckinger, Pages Walk and Bermondsey Street amongst the locations of my ancestors homes. I moved to Bermondsey myself in 1988 when the area was in sharp decline. 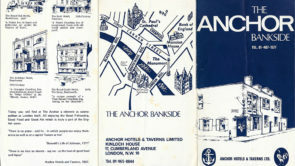 The docks had closed, traditional industries had become outdated and others were moving out of inner London completely. The changes we have since then have been quite remarkable. Everyone is welcome to join me at the Private View from 7pm to 8:30pm on 20th June 2018.